Watercolors are so hot now that I’ve pulled mine out from the depths of my craft space to explore them again! Did you know that you can use a liquid resist called frisket to mask off areas that you don’t want the watercolor to go? You apply it to the area you want to mask, let it dry, then watercolor as normal. Once your watercolor is dry, the frisket peels right off, preserving the paper color underneath! Frisket is a bit on the pricey side so I did some research and discovered that some people are using rubber cement instead of frisket, however, there are reports that, over time, the area masked with the rubber cement turns a bit yellow. Well, the whole topic got me thinking and I wondered if 2-sided tape could be an effective mask. You can peel it up with your fingers, right? Well, here is the result of my first attempt! It worked like a charm! 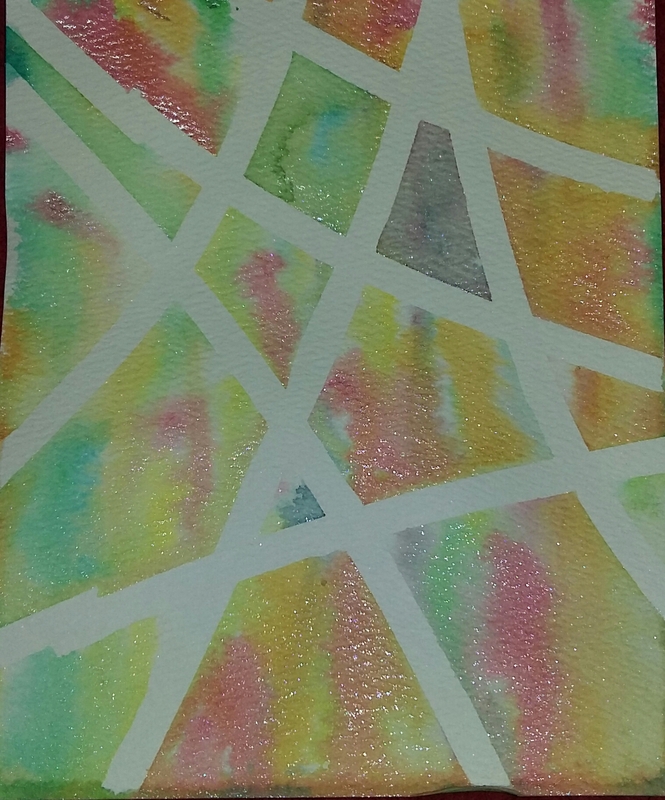 I ran my tape across the page in a random pattern, applied my watercolors, let them dry and then ta-da! The tape peeled off with no problems and the paper underneath was perfectly preserved! I’m going to try more patterns!